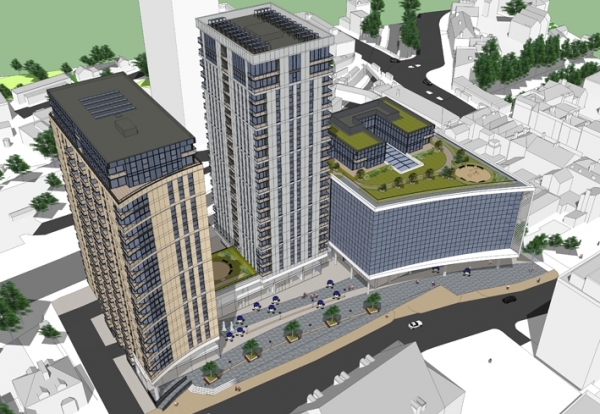 Ardmore has won a £90m mixed-use scheme to transform a site in the heart of Sutton, south London. Client CNM Estates has appointed Ardmore on the Sutton Point scheme which will see construction of three new blocks up to 22-storeys high. The new development will provide 332 new residential units alongside 40,000 sq ft of office and retail space and a 139-bedroom hotel. Preliminary work has already begun demolishing the existing Sutton Point Tower on the site with the main demolition phase due to start this Autumn. Cormac Byrne, Ardmore’s managing director, said: “We are thrilled to be awarded this major contract by CNM Estates. The win is a boost for Ardmore after the contractor recorded a £5.7m pre-tax loss in its latest results for the year to September 30 2014 on a stable turnover of £236m. Two problem jobs hit the company’s bottom line and Ardmore has now tightened-up its estimating procedures and is confident about future prospects as the industry continues to recover.